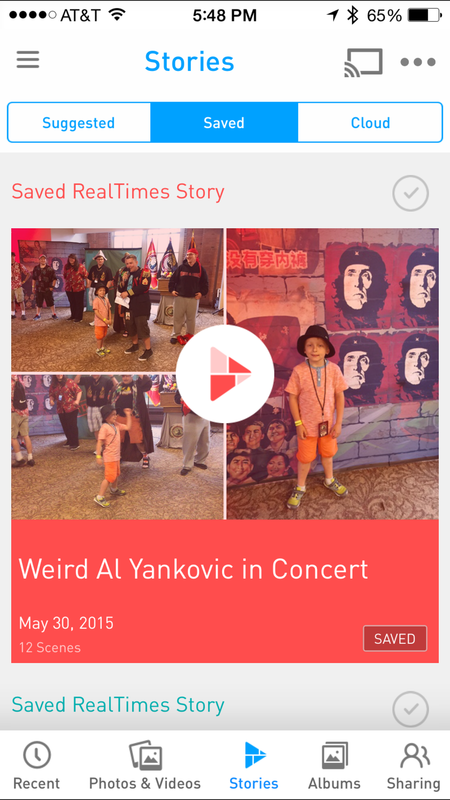 RealTimes converts photos and videos in your Camera Roll into automatically-generated Stories to share with friends and family. Now that we’ve shunned camcorders and point-and-shoot digital cameras in favor of the convenience of smartphones, it’s easy to become overwhelmed by thousands of photos and videos, with no easy way to turn hoarded memories into something worthy of sharing. The folks at RealNetworks want to remove the friction from this challenge by automatically consolidating visual memoirs into something busy families can quickly share with loved ones in just a few taps. Formerly known as RealPlayer Cloud, the rebranded RealTimes adds photos to its bag of cloud video storage tricks, along with a new unlimited option for only $10 per month ($100 annually; free plans start at 2GB, with a 5GB bump for enabling Auto-Backup). 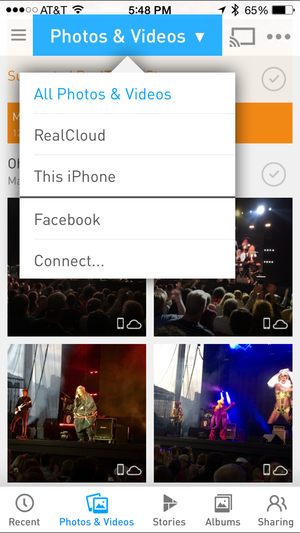 But it’s what you can do with this media after uploading that makes RealTimes stand apart from other cloud backup solutions. 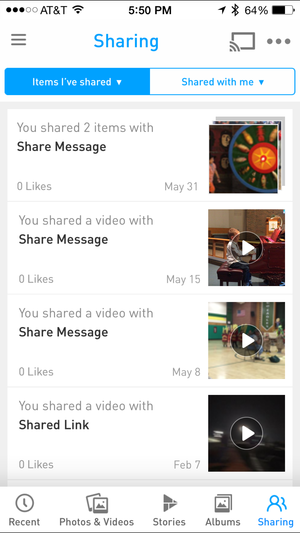 Users can view and organize content stored in the cloud, sorted by recent activity, date, or a variety of other options. 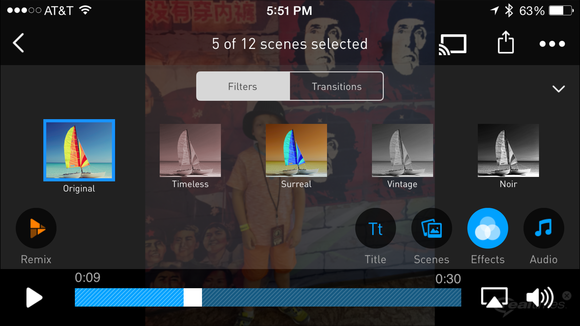 With no interaction from the user, the iOS and Android apps create up to 30-second montage videos from photos and videos in your Camera Roll, complete with motion, transitions, and music. Called Stories, these automatically compiled moments remain private until shared via email, SMS, Facebook, or Twitter, at which point they can be viewed using any web browser. Although RealTimes does an admirable job at suggesting Stories, users can manually improve results by adding new clips, titles, filters, or remixing the playback order. Paid subscribers have the option to create longer videos with custom music from your iTunes library, or remove the RealTimes watermark placed in the lower right corner by default. Saved Stories must be uploaded before viewing on other devices (and can only be edited where they were created), and unused suggested Stories can’t be removed at all. 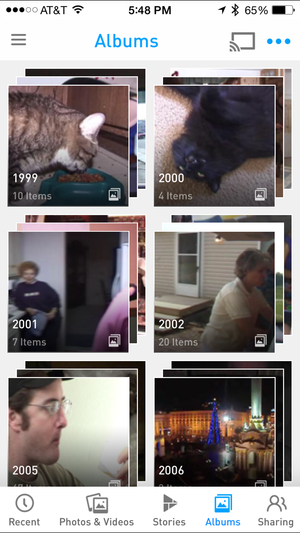 Stories can be edited with titles, filters (shown here), transitions, and music, but RealTimes isn’t quite a full-featured editing app. All of this functionality is kept super simple—there’s no way to trim video and music, for example, or set the duration of individual clips. 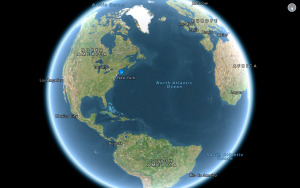 (Photos can be edited with the built-in Aviary.) I’m hoping to see more advanced features in future versions, but RealTimes succeeds at making it easy for moms, dads, grandparents, and other casual users to share something more interesting than static images or interminably boring videos. If you prefer a more traditional approach to organizing content, RealTimes Albums can be used to do just that. RealTimes isn’t just a mobile app—it’s an entire ecosystem capable of streaming cloud-based content to web browsers, Mac or PC, Kindle Fire, Roku, or Chromecast. The Mac version of RealTimes is available as a public beta. RealNetworks is heading in the right direction here, but the universal iOS app feels a little behind the times. There’s no support for larger iPhone 6 displays (the company says it’s in the pipeline), and Auto-Backup isn’t fully compatible with iCloud Photo Library, failing to upload anything but the most recent photos and videos. I had better luck using Safari to upload older content directly from my OS X Photos library. The web app offers a few features missing on mobile, such as the ability to add tags or change date and location. The latter came in handy when uploading scanned photos with incorrect time stamps, although images prior to 1970 default to the date they were imported, and therefore appear out of sequence in the timeline. RealTimes is built with sharing in mind, with everything kept private until you choose to share via text, email, Facebook, or Twitter. For families that shoot a lot of smartphone video, RealTimes is a great investment, especially since paid accounts can be used on up to 15 devices. It’s one of the fastest cloud services I’ve found for streaming 1080p video over any available connection, and the addition of unlimited storage makes it an unbeatable combination for archiving your treasured memories on a budget. RealTimes creates automatic visual Stories from the precious photo and video moments in your Camera Roll, allowing them to be viewed across a wide range of devices. 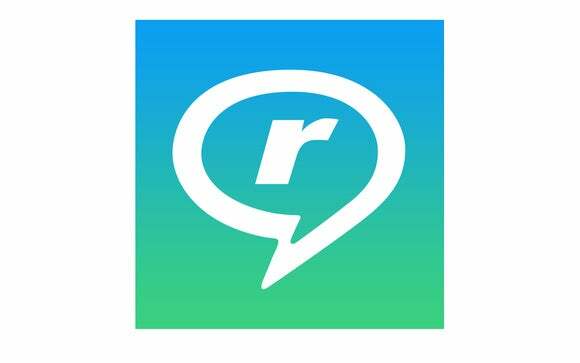 RealTimes is a great companion for busy families who don’t have the time to curate photos or edit videos before sharing with loved ones.